Quality Rebuilt Heads Since 1968! This listing is for a rebuilt 1992-1996 Honda Civic cylinder head with the casting number PO8. Please include your vehicle's year, the casting number on your head and your phone number with area code, with any correspondence such as an email or Paypal payment. For other models see our store listings. This head is completely rebuilt. It has been pressure checked for cracks and resurfaced. Guides and seats have been replaced as needed. New VITON valve stem seals have been installed. All heads are given a three angle valve job. All valves have been vacuum checked to ensure proper sealing. A LIKE CORE HEAD IS REQUIRED IN EXCHANGE. 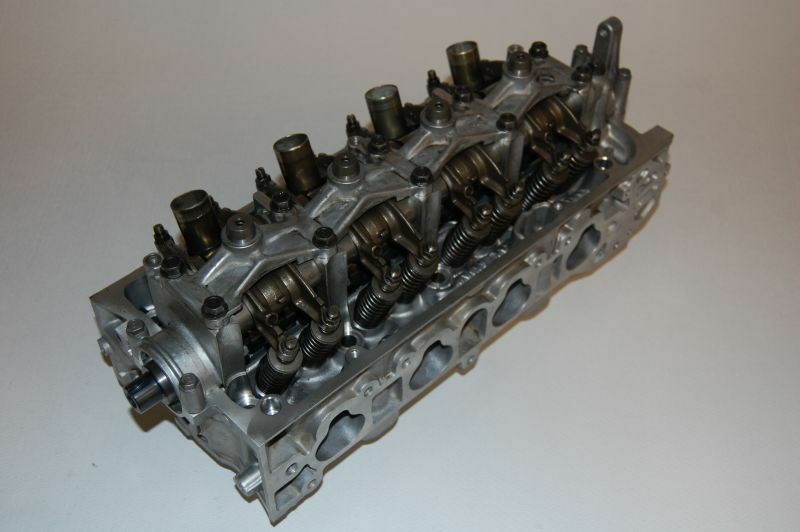 Since 1968, Cylinder Heads International has been selling quality rebuilt cylinder heads. By serving our customers better than our competitors, CHI has grown into one of the largest cylinder head rebuilders in the nation. Our heads are installed by shops nationwide and are the choice of many engine rebuilders. Our comprehensive inventory includes heads for domestic or import models and carry a 12-month unlimited mileage guarantee. We make it easy for you. Your head will arrive in our special foam lined box. Once your new head is installed all you have to do is put your old one in the box and tape it up, then apply the included prepaid UPS sticker to the box. You may then give the box to any UPS driver you may see, or take the box to any UPS pickup point, there will be no charge to you to complete the transaction and return your old head to us. We will accept your old cylinder head no matter what is wrong with it as long as it includes all the parts that our head came with. You will never be charged extra because your old head is damaged. Cracked head? OK! Bent valves? OK! Head taken apart? OK! (as long as you put all of the parts in the box). We have no up-front core charge. Our comprehensive inventory includes heads for domestic or import models and a 12-month unlimited mileage guarantee. Please include your vehicle's year, the casting number on your head and your phone number with area code, with any correspondence such as an email or Paypal payment. HEADSONLY, also known as Cylinder Heads International has thousands of rebuilt cylinder heads in stock. We strive to have the heads people need when they need them. Due to the fact that we sell heads Nationwide to professional installers, garages, dealerships and engine rebuilders, occasionally we may be temporarily out of stock on certain hard to find or high demand items. This is rare. In this case we will offer to rebuild your head, or a full refund, your choice. Copyright © 2015-2019 Cylinder Heads International. All rights reserved.